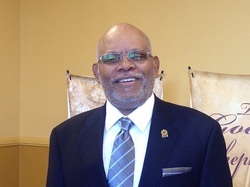 Moses is a retired educator of more than 30 years and is the first deacon and one of the founders of the church. His responsibility is to organize the take care of the laity of the church, work with the pastors on projects, and to train other deacons and workers as they come on board. In addition, Moses often is the first voice heard at the opening of the Sunday worship service as he provides his spoken thoughts to get members to proper frame of mind for worship. As with most of us, Brother Moses life was not always on the straight path that Christ called him on. Moses is thankful today that he has been redeemed by the blood of Christ and now gives his testimony that Christ can restore anyone who comes to him that needs spiritual healing. Eddie is an educator in the local school district. As a deacon, his responsibility is the care and nurturing of the membership. 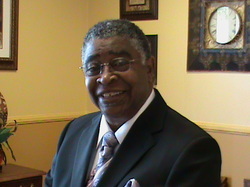 The deacon is involved in the ministering of the physical needs of the church membership. Brother Eddie is a founding member of the church. 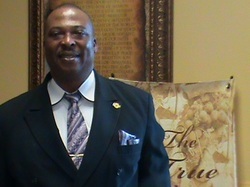 He ensures the collection of tithes and offering as well as administering the communion. In addition, brother Eddie serves as the host of the Love On Purpose Gospel Cafe. He is married and has 2 adult children. Brother Eddie's spiritual journey has led him to learn to trust the Lord mores each day. The church blessed to have brother Eddie Oliphant with it. Ron is a retired Air Traffic Controller. He serves as the deacon over church operation. In this capacity, Ron is often the point person on day to day needs and activities in the church. He handles much of the negotiation the church and outside entities. Ron's calm and measured demeanor allows to be a good listener to the needs of the members and to relay those needs to the church clergy. Ron is married with 4 adult children. The church is blessed to have brother Ron Willis. Chanel is a young lady who decided to grow in Christ by affiliating herself with a church and working in God's kingdom. Through a series of unlikely events, and spiritual growth, God brought her to the Wayside Christian Church family. She is so thankful today for the covering that God has given her. 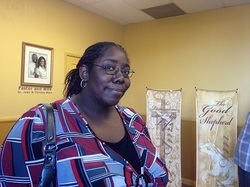 Chanel now serves as the pastor's assistance and works many church issues on behalf of the pastor. She often is the first voice a member would hear when the pastors wish to communicate to the church body. Along with being the pastor's assistant, Chanel is also the lead church usher. She is also a professional daycare provider. The church has come to depend on her as a key worker in God's vineyard and it is blessed to have her join.